They forget the impact they have on the world. Sometimes men are not prepared for the journey into fatherhood. It could have been a surprise expedition but once the dust settles it’s good to remember that the lives of the people who surround these men of valor are looking to them for guidance. The little child is gazing at Dad to know how a man should behave. The spouse or partner is longing for direction, the work force is looking for a person of integrity and leadership. No man is an island. They fail to be appreciated. 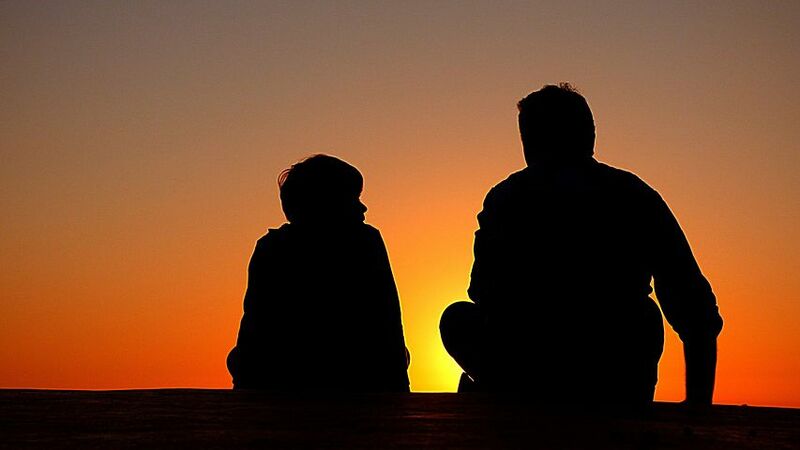 Fathers can work all day, support others, defend ideals and come home to chores, children and chili beans – not the filet they were dreaming of on their commute, and yet a full month can go by without feeling appreciated. Don’t let time pass without giving those words of praise. We never know how long we have that man in our life. Maybe they are not working hard enough, providing enough, measuring up to others’ expectations. Maybe their business plan, marriage, dream of traveling the world won’t pan out the way they had hoped. They may look like knights in shining armor but they too fear rejection. We all do! No one wants to feel like they are no longer invincible! But with men this is particularly difficult. We love these bigger than life heroes. We have admired them since our own lives began and yet they maintain a sense of mystique. Is it because they are never truly transparent about their own struggles and momentary lapse of self-confidence? Or do these super heroes feel they must maintain the look and feel that everything is fine even when it’s not? Depending on their age and physical limitations maybe it’s time to start having those conversations. Dad, maybe it’s time for us to start caring for you! Dad it’s ok to struggle, it doesn’t mean you are flawed and you certainly have not failed us. Dad could be getting on in age. It’s good to realize that most people prefer to age in place and many are exploring the ideas of multi-generational living spaces. It doesn’t hurt to look at these options because looking can lead to eliminating fears and removing those fears can help someone feel appreciated. It’s only when we feel loved and appreciated do we realize the impact we truly have upon the world.